One-Day Tour of Raleigh, N.C.
Start with breakfast in downtown Raleigh&apos;s Moore Square Art District at Big Ed&apos;s City Market Restaurant. After eating a plateful of biscuits, eggs with bacon or sausage or maybe some French toast, you can walk through the cobblestone streets of City Market and do a little shopping. Also in City Market is Artspace (free), where artists work in open-to-the-public studios. Then stroll over to the North Carolina Museum of Natural Sciences (free) and the North Carolina Museum of History (free). The North Carolina Museum of Natural Sciences features four floors of exhibits, including prehistoric N.C. (featuring the Acrocanthosaurus dinosaur) and a dry tropical rainforest with butterflies and a one-toed sloth. The North Carolina Museum of History has short-term and long-term exhibitions about the history of the state, including Civil War heritage as well as the North Carolina Sports Hall of Fame. Next, walk one block to the North Carolina State Capitol building (free). Tour the building to see the old legislative chambers and ask about the statue of George Washington in a toga! Take a walk back toward the North Carolina Museum of Natural Sciences&apos; newer wing called the Nature Research Center, which explains how we know all we do about nature. Inside you can grab some lunch at The Daily Planet Cafe, or head back toward Fayetteville St. and dine at one of the many restaurants in the Fayetteville Street district downtown. After lunch, take a longer hike north and visit Mordecai Historic Park, offering guided tours of the Mordecai mansion, an antebellum plantation home, and tours of other historic structures, which have been moved to Mordecai Park for preservation, including the birthplace of Andrew Johnson. Finally, drive a few miles to one of Raleigh’s unique outdoor shopping destinations such as Cameron Village or North Hills to enjoy shopping in locally-owned stores and some delicious dinner options. Visit the North Carolina Museum of Natural Sciences (free) and the North Carolina Museum of History (free), located in downtown Raleigh&apos;s Capital District. The North Carolina Museum of Natural Sciences features four floors of exhibits, including prehistoric N.C. (featuring the Acrocanthosaurus dinosaur) and a dry tropical rainforest with butterflies, hummingbirds and a one-toed sloth. The North Carolina Museum of History has short-term and long-term exhibitions about the history of the state, including Civil War heritage as well as the North Carolina Sports Hall of Fame. Head across the street to the North Carolina State Capitol (free). Tour the building to see the old legislative chambers and ask about the statue of George Washington in a toga! Head to Moore Square District and explore Artspace (free), where artists work in open-to-the-public studios. Walk through the cobblestone streets of City Market and do a little shopping or enjoy dinner at one of the many restaurants in that area. You may choose to explore the main streets of one or more municipalities in the Raleigh area, each with its own blend of past and present. 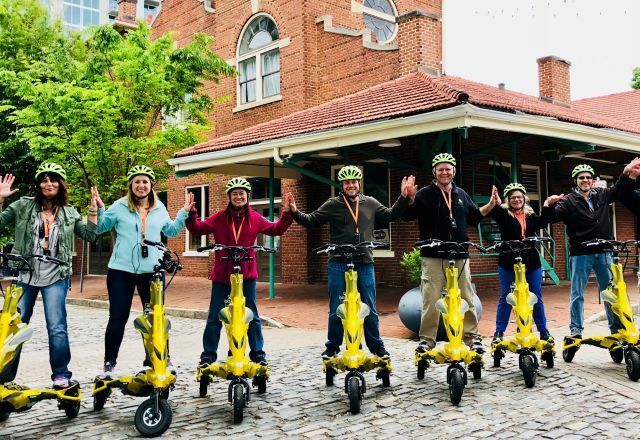 From the historic train station in Apex to Cary&apos;s landmark hotel (now the Page-Walker Arts & History Center) to the once-famous healing springs of Fuquay-Varina, history and nostalgia run deep in the smaller towns of the area. Learn all about those towns here.